Looking for some fun activities for A Wrinkle in Time? Grab these ideas and free printables for your ultimate space travel fan and read our parents’ guide. For the first time (for me) at a movie screening, there was a short clip from the Director before the film. In this quick message, Ava DuVernay asked us, the adults in the audience to reach back in time in our own lives and bring our 12-year-old selves to this movie. She thanked us for watching and asked us to embrace the story. 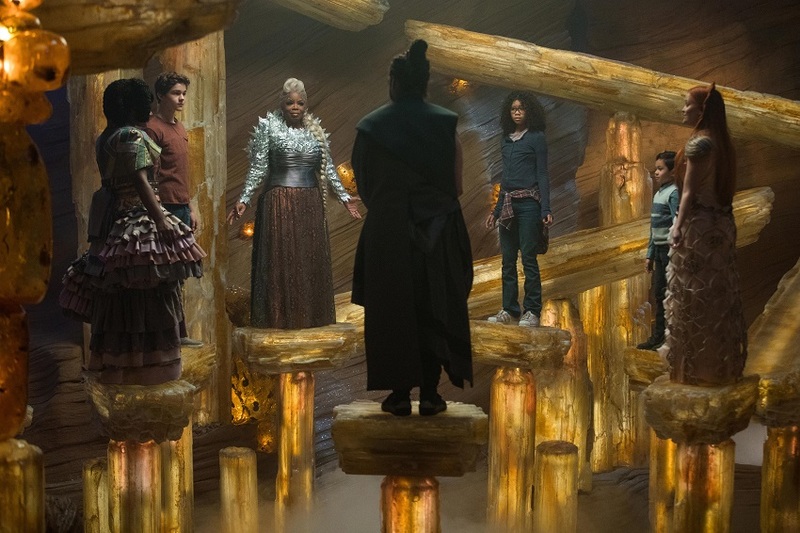 A Wrinkle in Time is very much a fun family movie for kids first, but I felt all the feelings just the same. I’d been hearing about how inspirational Ava is from other friends who interviewed her personally, so when her face appeared on the screen my first thought was wow, that’s so Ava as if we were old friends. Who would think that a quick little message would make any kind of difference? All I know is my mentality shifted from screening a new Disney movie to watching someone’s dream come to life. That in itself was pretty extraordinary. If you’re looking for some fun activities for a Wrinkle in Time, make sure to print out some of these kids’ activity sheets! These are always a hit. Especially the fortune teller (ie cootie catcher for the 40+ crowd). Click to open each pdf and print away. For even more ideas, keep reading! I was given a press pass to attend this movie. All opinions are my own. Affiliate links are included in this post, which means I may earn money on purchases made. Thanks for reading! Growing up, I never actually read A Wrinkle in Time. I don’t really know why as I remember hearing the title through the years. So when the movie was announced, I went and bought a copy to add to my reading list before seeing it. I finished the book last weekend so it is all very fresh in my mind. Easily described as a story about space travel, A Wrinkle in Time also shares a good vs. evil battle that is both enlightening, a little intense and overflowing with a very sweet message of love. What I want you to know about this movie is that it is definitely a kids movie first, but something the whole family can enjoy together. Official: From visionary director Ava DuVernay comes Disney’s “A Wrinkle in Time,” an epic adventure based on Madeleine L’Engle’s timeless classic which takes audiences across dimensions of time and space, examining the nature of darkness versus light and, ultimately, the triumph of love. Through one girl’s transformative journey led by three celestial guides, we discover that strength comes from embracing one’s individuality and that the best way to triumph over fear is to travel by one’s own light. Does A Wrinkle in Time the Movie Stay True to the Book? If you are a die-hard fan of the original story from Madeleine L’Engle you will notice a few departures from the book. Mainly, backdrops and settings are shifted some to adapt the adventure to the big screen and update it. This is very much an adventure movie so some of the internal dialogue from our main character, Meg, is made more visual. I found this to be fine in some places but a little fuzzy in others. When reading the book, you know exactly how Meg comes to certain conclusions and the reasoning behind it. In the movie, while the outcome is nearly the same there isn’t as much explanation. I don’t know that it matters in the long run, but wanted to point it out. I also noted the omission of scripture verse quotes and the mention of Jesus, both of which are used in the book (especially verses). This stood out to me because as a Christian, it was refreshing to see the Bible alongside many other quotes throughout the book and I would have appreciated the same representation in the movie. Visually, A Wrinkle in Time did an excellent job of bringing the fantastical worlds of the book to life. It was a fun journey through the universe that I truly enjoyed. The visual effects were well-done and as the old lady that I am, I was super excited that our screening was not in 3D. The costume design alone was worth seeing. There has been a lot of buzz around “The Mrs.” of A Wrinkle in Time. Mrs. Whatsit, Mrs. Who, and Mrs. Which are played by Reese Witherspoon, Mindy Kaling and Oprah Winfrey respectively and they were fun to watch for sure. And I think their star power has brought a lot of new eyes to this old story. I have a special place in my heart for Zach Galifianakis (go Wolfpack!) and seeing his emotional side as the Happy Medium was one of my favorite scenes in the film. But what really blew me away were the kids. These kids were actors and I loved every moment they were on screen. Storm Reid and Deric McCabe had amazing chemistry as brother and sister and they made me cry more than once. And Levi Miller as Calvin completely stole my heart. He played his role perfectly and I promise this is not the last we will see of him. Really, the casting was about as perfect as it could be. They also did a great job keeping the kids as KIDS. They weren’t overacting or overtly flirty. They were sweet, innocent and volatile. Just like every 12-year-old I’ve ever known (minus the whole space travel thing). Should kids see A Wrinkle in Time? I am so happy that we finally have a PG movie, y’all! Seriously. A real action movie for kids is hard to come by these days. I plan to take both my boys to see it (they are 9 and 6) and overall I think they will be fine. It’s an exciting and fun family movie that is a step above Spy Kids but not quite Star Wars. It’s basically a tween in film years, which is just what it’s meant to be! That said, if your kids do scare easily, there are a few intense and somewhat creepy scenes. “the IT” which is the presence of evil in the film is pretty dang evil with the deep voice and everything. There are a couple of people who have red eyes at certain points and some intense and fast-paced action scenes. If you think any of this may be an issue for your little one, you may want to screen it first. Otherwise, lets go to the movies! 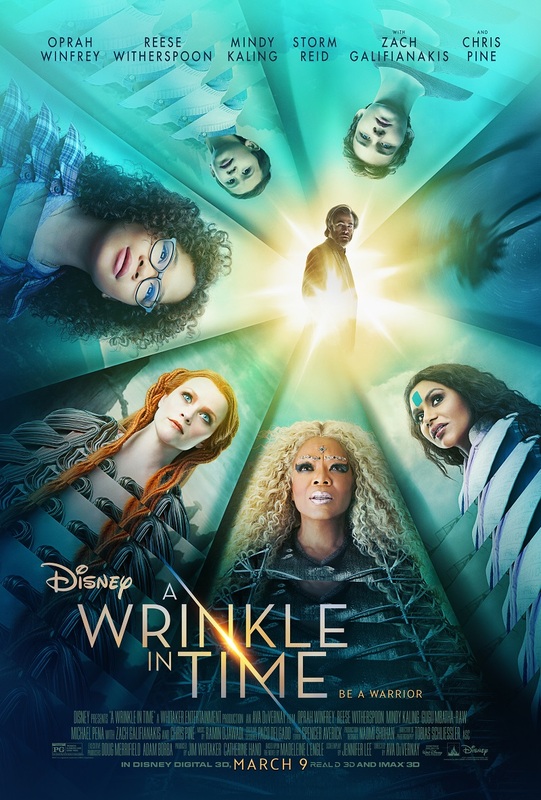 A WRINKLE IN TIME (Disney) is rated PG and has a run time of 115 minutes. Still want ideas? Check out these awesome finds! Like this movie? You might also like our The House with a Clock in its Walls movie review.